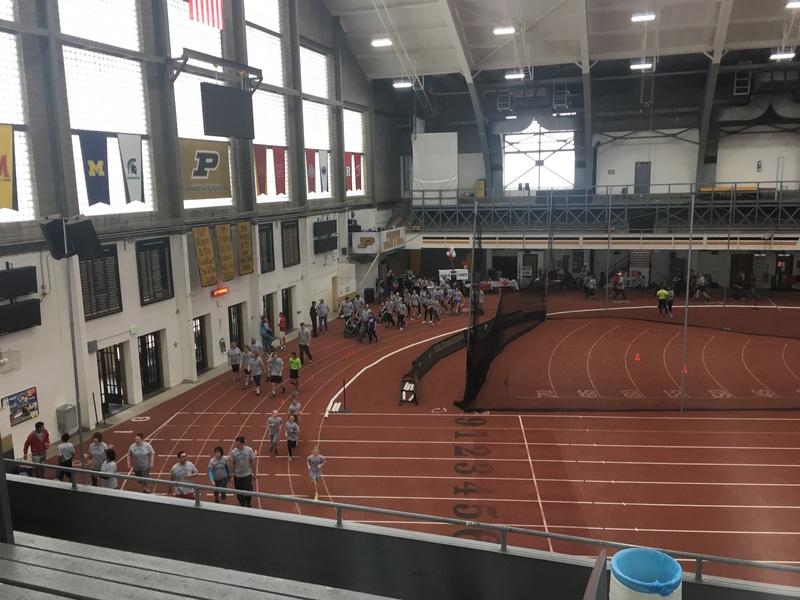 The event to raise money took place at Lambert Fieldhouse on the campus of Purdue University. At the check in table, everyone showed their support by donating to the cause. With all of the donations counted, it was determiend that the foundation had reached their dollar goal for the day. 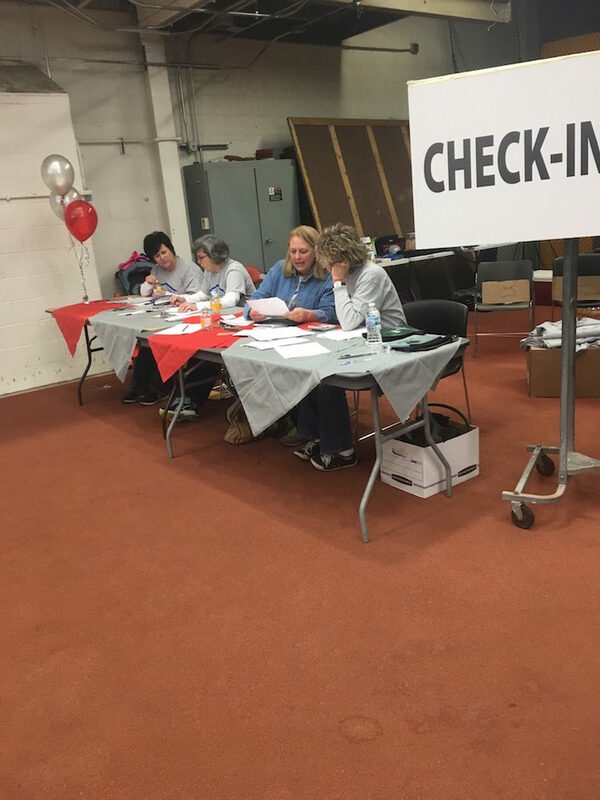 These volunteers pictured were the main helpers in the check-in/donation process. 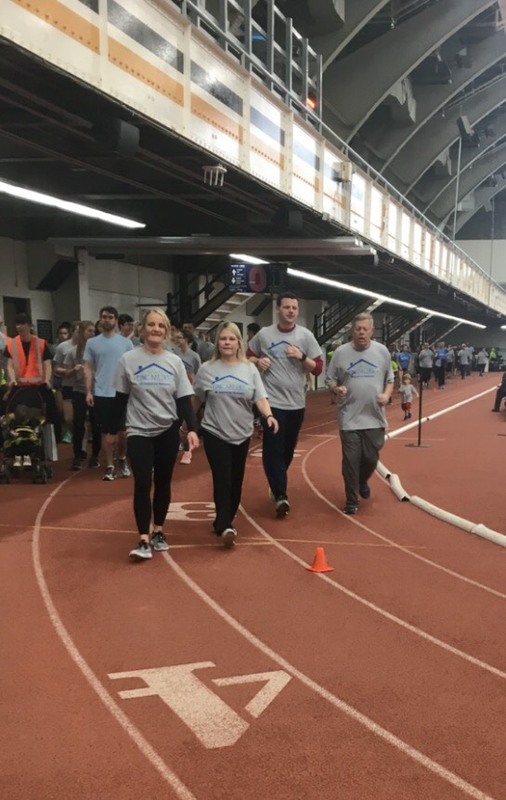 The event was a walk or run-a-thon, and people chose to participate in both. 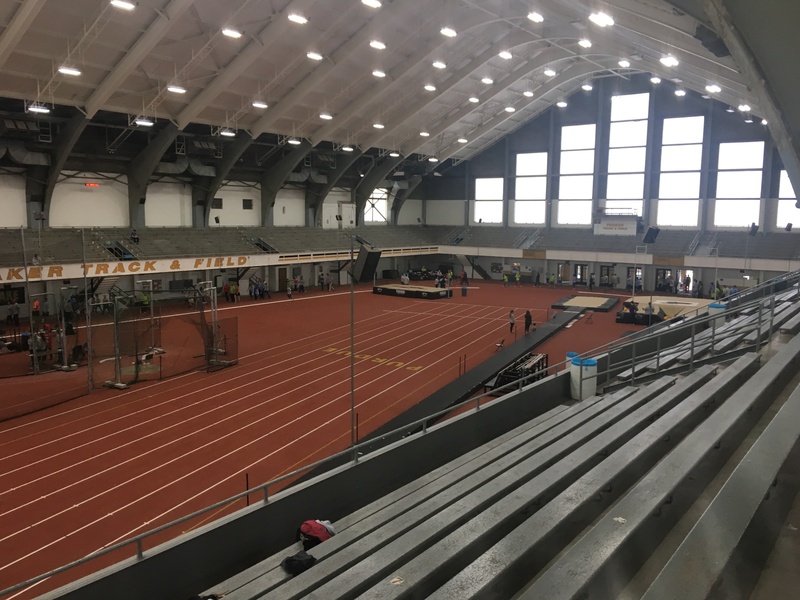 Whether it was through walking or running, each lap contributes to the cause. 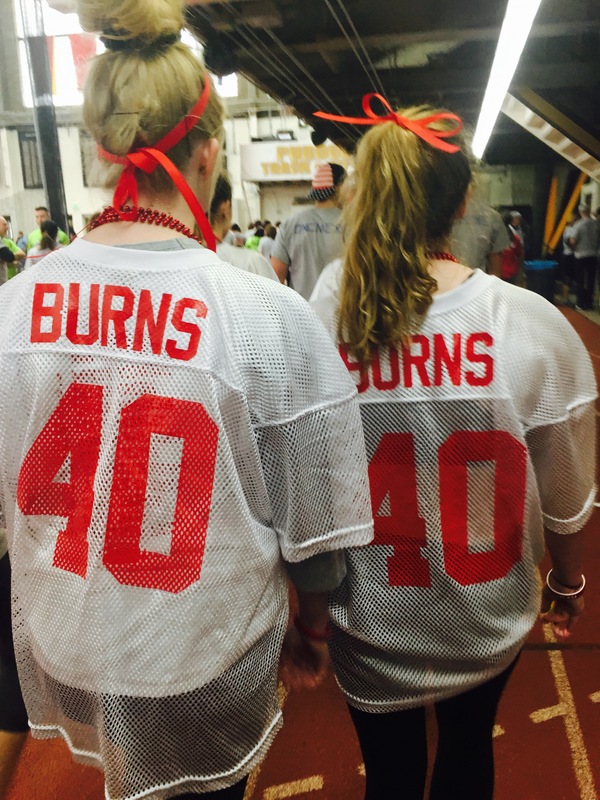 West Lafayette seniors walk in memory of Christian Thomas Burns. Shirts and jerseys in memory of Burns could be seen all throughout Lambert Fieldhouse. The turnout of people in the community was better than anyone could've dreamed of. An outpour of love and support was shown, not only for Christian, but for the whole Burns family as well. This small section of Lambert testifies to the crowd that gathered for the event. 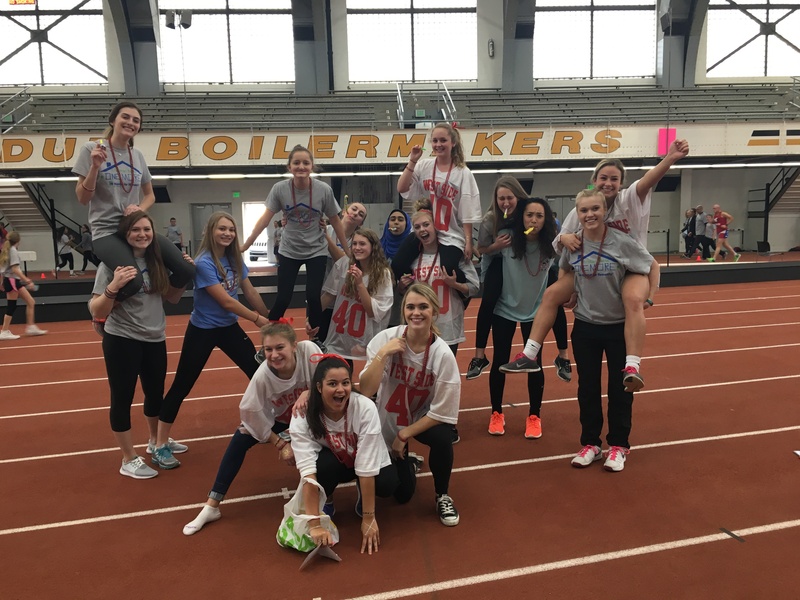 This walkathon team made up of girls who knew and loved Christian and whose lives were deeply impacted by him. This group showed their support through their shirts, necklaces, and bracelets that honored him and his message. These wristbands supporting Christian were handed out at the event. 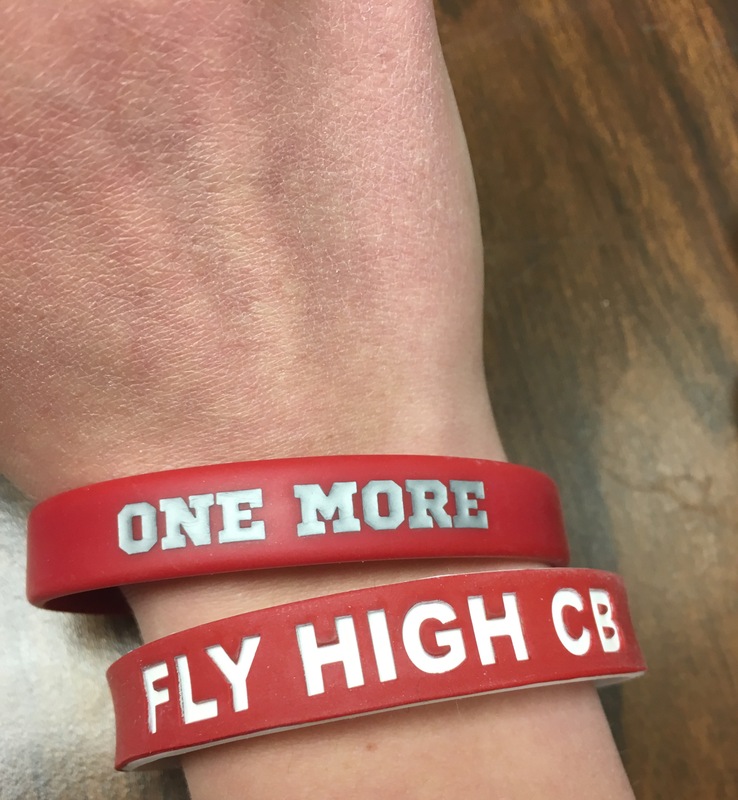 These bracelets say his motivational phrase to remind people to always apply the 'One More' mentality to their lives.